Somewhere between Fleetwood Mac’s Rumours and Tusk, there was this. Forget the drum heads, Mick, and let’s talk about that glorious coat! 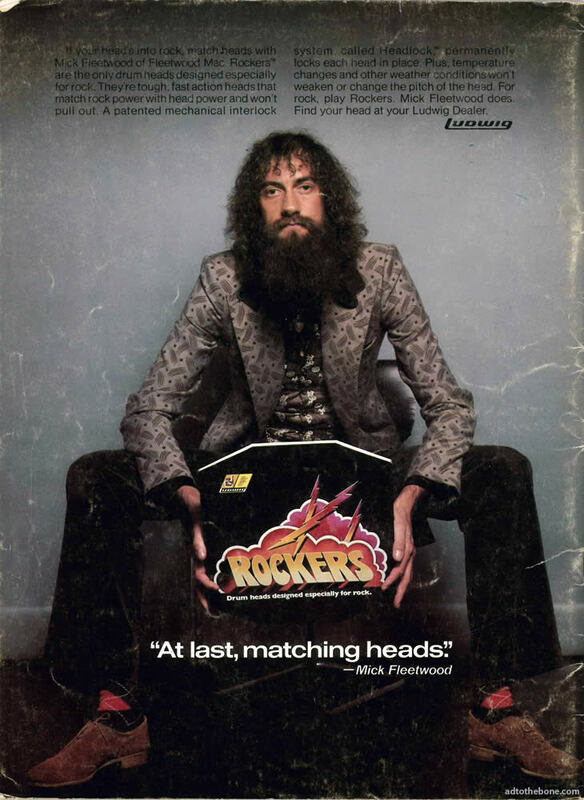 This entry was posted in ads of yore and tagged drum heads, fleetwood mac, ludwig, ludwig drums, magazine ad, mick fleetwood, music, print ad, rock, rock music, vintage ad on October 17, 2018 by Clayton Hove. This entry was posted in cats and tagged cats, classical, cricket, felines, music, pets, video, vine on May 27, 2015 by Clayton Hove.